Dr. Ryan Sandheinrich, D.C. was born and raised in Shiloh, IL; which is right across the river from St. Louis. He attended St. Clare grade school, O’Fallon Township High School, Southwestern Illinois College (SWIC), Webster University, and graduated as a chiropractor from Logan College of Chiropractic. Starting off at a young age Dr. Ryan had a passion for sports. He played on many teams, but excelled in soccer and baseball. After years of being on the field himself, Dr. Ryan decided he still had a lot to give to soccer. After graduating from Logan, he decided to switch up the pace, and be on the sidelines. He wanted to take his love and knowledge of soccer, and pass it along! Currently he and his wife (Dr. Jeanne) coach a U12 girls’ select soccer team at Lou Fusz. They have been coaching U12 girls for the past 4 years. Dr. Ryan adores being a coach, and watching his players turn into strong athletes. Dr. Ryan also truly enjoys dedicating time to his local church. He is an active parishioner and enjoys giving back by volunteering. His two favorite things to volunteer for are the fish fries, and selling trees during Christmas. Dr. Ryan also is part of the Men’s Club at his church. The main reason Dr. Ryan Sandheinrich became a chiropractor was due to his severe asthma. He had suffered from this issue since he was 1 year old. Shortly after being diagnosed, he started to participate in the Asthma CAMP Study at Children’s Hospital. The goal of the research was to see what methods of treatment could help with asthma. One of the treatment types was chiropractic care. After seeing the chiropractor for about a month, he started to notice an enormous change. It seemed to be significantly easier to breath on a day to day basis, and when he did suffer from asthma, it was not as severe. From that day forward, he knew that helping people through chiropractic care was what he was meant to do. Since that day he has helped several individuals with their asthma problems, and provided them with asthma relief through chiropractic. Helping those who are in the same situation he was, is what makes his job so much fun! He totally gets how terrible of an experience and ordeal it can be to have asthma. It doesn’t have to be though, and it makes him elated to be the part of the solution! After graduating from Webster, he decided to go to Logan right away. Throughout his time there, he learned how to diagnose, adjust, and treat for many different types of health issues. Since graduating he has used those skills to help his patients get relief. The most common reasons patients seek out Dr. Ryan for are: headache relief, migraine relief, nasal congestion, and solutions for stomach and bowel issues. He also frequently treats for general head pain, neck pain, and back pain. 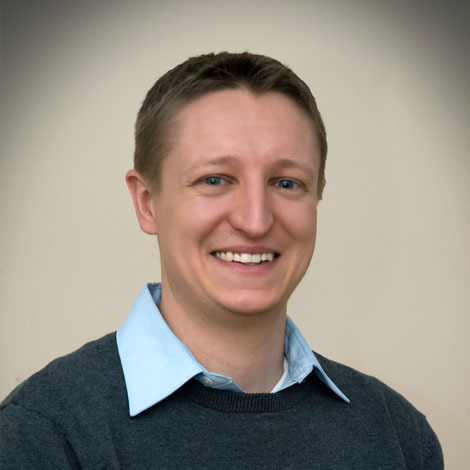 Dr. Ryan concentrates on helping his patients through proper nutrition and supplementation. He has continued with comprehensive training to have the most up-to-date information to pass along to his patients. With the extensive amount of seminar training, Dr. Ryan brings an abundant knowledge base to every issue patients come to him with. This allows for multiple treatment options for the patients to choose from.